COLIN VAINES is a film and Emmy-winning television producer whose credits include Film Stars Don't Die In Liverpool, Gangs of New York, Coriolanus, The Young Victoria, and The Rum Diary. With over 30 years in the film industry, Colin has held a variety of positions in the industry. Most notably Executive Vice-President, Development for New York-based Miramax Films in 1999, becoming Executive Vice- President, European Production and Development in 2002. There he was Co-Executive Producer of Martin Scorsese's Gangs of New York, and Executive in Charge of Production on Anthony Minghella's Cold Mountain. In October 2005, he was appointed Executive Vice-President, European Production and Development for The Weinstein Company where he developed and oversaw production on numerous projects including the Oscar winning The Reader. He joined Graham King's GK Films in Los Angeles as Co-President of Production in 2007, where he became Executive Producer of The Young Victoria, The Rum Diary, starring Johnny Depp, and London Boulevard. Returning to freelance production in 2010, he produced Coriolanus, which marked the directing debut of its star, Ralph Fiennes. His latest movie is Film Stars Don't Die in Liverpool, starring Annette Bening and Jamie Bell, premiered to critical acclaim at the 2017 Telluride Film Festival and went on to screen at the Toronto and London film festivals, and was nominated for 3 BAFTA’s. JOE STEPHENSON is an award-winning, critically acclaimed filmmaker. He graduated from NYFA (Kings College) at only 17yo, and worked briefly at Ealing Studios and Icon Films before establishing B Good Picture Company Ltd. Upon doing so he was commissioned by the broadcaster Sky Arts to produce and direct the TV series In Love With starring some of the biggest British actors of our time including Stephen Fry, Jonathan Pryce, Karen Gillan, Simon Callow, Anthony Head, Richard Madden, Douglas Booth, Celia Imrie and many more. 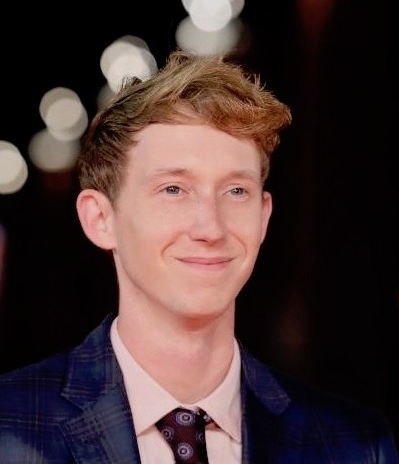 Joe then directed his first film, Chicken, which became an acclaimed critical success on theatrical release in the UK, acquired by Mubi, Film4 and Network Releasing and even taught nationwide on the Media Studies curriculum. His second film, but first documentary, McKellen: Playing the Part, has been met with similar acclaim on release in the UK & US. Alongside his film work, Joe has been commissioned to produce and direct work by Tate Britain, Channel 4, and Sony Music. MARK BIRMINGHAM has been a film making professional for over 30 years. Mark has contributed on every budget level in the industry and has extensive knowledge of the inner workings of feature production from conception to delivery. Educated with a degree in Finance and an MBA from Henley Management College Mark worked as a business consultant in the UK and US before returning to film in accounting before coming back into Production in 2009. His credits include hits such as Troy, Batman Begins, Platoon, Bronson, Lost City of Z, Kingdom of Heaven, The Hitman’s Bodyguard and Mamma Mia. He joined B Good after being a producer on McKellen: Playing the Part.